Can Big Finish squeeze even more out of the Time War? 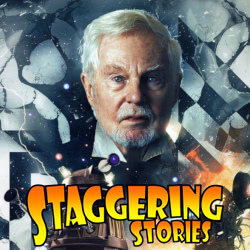 Yes, Staggering Stories Podcast 308: Pearls Before Masters is now available! Doctor Who: Science of the Time Lords convention. Doctor Who: The War Master - Only the Good. Plus, as ever, lots of news (Doctor Who, Batman and yet more dead actors). More madness than the Master acting rationally! Available on iTunes and most other major podcast directory sites or via direct RSS Feed. We also have a Staggering Stories Facebook group.